TapSnap isn’t just a photo entertainment company; we’re a quickly growing franchise company as well! For that reason, our goal is to always provide useful information to help you learn more about the benefits of franchising and how to build successful franchise businesses. 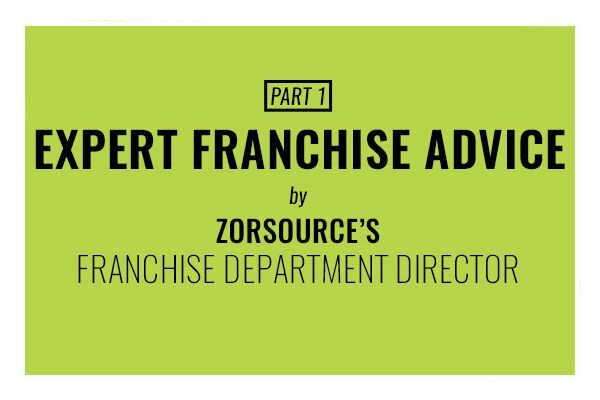 We recently caught up with Alexandria Watson Warren, the Franchise Department Director from ZorSource, who used her expertise in the field to provide some excellent franchise advice, and reasons as to why franchising is a great option for those looking to start a business. Read the first part of our interview below for Alexandria’s words of wisdom! 1. Why is franchising a good alternative to starting your own business? Franchising is an excellent opportunity for people who don’t want to have to start from scratch. Whenever some is looking to start their own business, there’s obviously the perk that when you go it on your own, you truly get to put your own little spin on it. However, you’re literally starting from scratch. From accounting to marketing to logo design, or even trying to get a customer base, you are starting from the very bottom. So many new businesses fail for hundreds of different reasons. Whether your product isn’t great, or you don’t know how to use social media efficiently, whatever the case may be, for some reason or the other there’s a chance you may not be as successful as you’d like to be. Franchising gives you that platform to skip almost the first 20 to 25 steps of opening up a small business. Let’s look at food franchises for instance. You’ve got a real estate guru who usually comes in and helps you find a prime location, so you don’t make the mistake of finding the cheapest spot with potentially less foot traffic and think, “well, customers will come to me.” Not only do you have someone helping you out with real estate, you’ve already got a well-known brand, all of your marketing has been done, and your brand recognition is already taken care of. They’ll likely also have a layout on how to do a grand opening, and will help you get your social media on track. All of the nitty gritty steps will be handled for you when you buy a franchise. So in your first 30 to 60 days, you can just focus on running that business, and not on all the other little things that need to be done when you typically start a business. I think one of the reasons that a lot of people do choose franchising versus some of the other opportunities out there is because of the simplicity of it. People don’t realize how many opportunities there really are in franchising. Franchising isn’t just Subway, McDonalds, Burger King, or like some of the other big guys. Those aren’t just the only franchises that are there. I think when people really start to dive in and gain a bit more education about franchising and the perks to it, they realize it’s not just in the food concept. People like the opportunity to own their own business, but are deterred because they have to start from the ground up. With franchising, they aren’t starting completely from scratch! 2. What should people look for in a franchise? How can they differentiate between a good one and a bad one, and how do they know when they’ve found the right one? The Entrepreneur Source, ZorSource’s sister company, is a group of coaches, and we are a franchise ourselves. Our coaches work with individuals to help them find the right franchise concept for them. There are a lot of different ways in which that can happen. There isn’t this “ah-ha” moment. People don’t often see a franchise, and have this love-at-first-sight feeling. That’s not what usually happens. A lot of people think that’s what they should be expecting, but it rarely happens like that. A coach looks at a person’s ILWE, which stands for income, lifestyle, wealth, and equity goals. They find out why that person is looking into franchising. It could come down to having the desire to replace some type of income, wanting a change in lifestyle, or wanting the flexibility to make it to more of their children’s basketball games. It could also have something to do with wanting to build wealth for the future, something they can put all their equity in later, or be able to retire. So, based on these types of goals, our coaches can start filtering through franchises that suit those elements. Some franchises may offer lifestyle opportunities wherein the franchisee doesn’t have to be in the business all the time, while other franchises require the opposite. So those are all the things that are taken into consideration. Training and long term support: as the times change, technologies improve. Make sure that your company is keeping up with the times and they train you on how to do the same. Anybody who has ever had a job where they’ve had very little training coming into it knows just how difficult that can be. You want somebody who can give you that support and training where you need it so that you are able to run your business successfully. Development: It’s not very important, in my opinion, to have a brand that’s growing rapidly. I appreciate brands that are growing slowly and steadily. I think it’s well thought-out for them to do so, but you also want to make sure that the brand that you choose is still focused on growth. You don’t want to be with a one-hit-wonder. You want a company that is still looking to expand, but it’s okay if they’re taking their time to do it by being calculated about their approach. Long term support in terms of operations: Depending on what type of franchise you get into, you’re going to want individuals who are able to come by and help you. Remember, when you go into franchising, you need to be okay with that. Although you do own your own business, you’re also representing a brand. There truly is an interdependent relationship. You can’t count on the franchisor to do everything for you. That’s not what they’re there for. You’re not buying yourself a job, but you also can’t go completely rogue either. 3. In your experience, who makes a good franchisee? What type of characteristics do the successful ones share? There isn’t a particular personality type, if you will, but I guess there is a common mindset. The mindset goes back to what I was just saying. It’s the understanding that when people enter a franchise, they are business owners. Their success is their business. It’s not to say that nobody cares if they’re successful. The franchisor does care about the success of their franchise partners, but it’s the franchisees’ responsibility. At the end of the day, it’s the franchisees who have invested in the business, the ones who have purchased the territories, and it’s ultimately their responsibility to build successful franchise businesses. So anybody who’s going to be successful is going to know that going into it. Their mindset will be that it’s their business, and that they will have that work ethic and drive because they aren’t just buying themselves a job. You don’t invest a 100 grand here to make 250 grand a year every year for the next 10 years. I think all successful franchisees know that it is truly an interdependent relationship. They go into it understanding what they are expecting from the franchisor, being very clear and concise in their expectations, making sure they’re in alignment with what the franchisor can provide, and making sure that they uphold their obligation as a franchisee. As a franchisee, you’re expected to grow your business by X, Y, and Z. If in the first 6 months you’re not hitting those goals, you need to be able to reach out for help. It’s important to not blame the franchisors as the franchisee has made some commitments as well. There are always going to be the times in every franchise where the franchisor could do something better. However, from an overarching perspective, it needs to be understood that there are obligations that need to be kept on both ends. For more on this, read about the franchisor and franchisee relationship. There are all different types of franchises, so there are all different types of people that make good franchisees. The people who don’t typically end up being good franchisees are the individuals that want to do it on their own. If you’re going to go off-the-rails and do things on your own, or if you really can’t follow directions, you’re probably not going to be a good franchisee. 4. What are some credible resources people can use to learn more about franchising and opportunities? 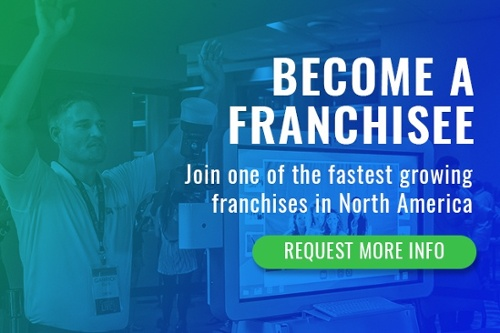 Connect with a franchise coach. The reason why I like a coach versus a broker is where the intention lies. The philosophy behind a coaching model versus a broker model is that the candidate—somebody looking to get into franchising—doesn’t pay for it. There isn’t any money going out-of-pocket; it’s purely education and discovery. You really get to be in a position where you learn and ask questions. A coach truly doesn’t care what happens. If you end up in a business, fantastic! Clearly what they want is for you to end up finding opportunities that work perfectly for you, but if you don’t end up in a business, they won’t be pushing you into a franchise. They’re not obligated, one direction or the other. You really get a safe space to explore a little bit of everything. The IFA: this is a very informative website. It talks about a lot of different aspects of franchising, not just different brands, but also their suppliers. It also covers the different aspects of franchising that an individual might not know about. Franchising Today Magazine: this is another great publication for potential franchisees to read. Lots of great information in here! The Franchise Business Review: this is a good resource for those considering and researching franchises as the FBR gets reviews from franchisees. So you get to see how the current franchisees are feeling about a particular franchise. Start a Business Weekend: this website is like an online expo for franchises. It’s a bit unique as you get attached to consultants when you come in and they can help you navigate the site. You get to see a variety of information very quickly. FranchiseMatch.com: this website is kind of like an eHarmony for franchising. It helps you find the best opportunities that match your ILWE. In terms of seeing how much an individual can make as a franchisee, you could look into something called an Item 19. An Item 19 is located inside an FDD (Franchise Disclosure Document). Note that you can only see an FDD if it has been disclosed to you. An Item 19 is a fantastic element to look into when narrowing down a franchise. If a franchise doesn’t have an Item 19, I get a little curious as to why. It’s definitely a question to ask the franchisor. If your franchise doesn’t have one, ask why. And if they do have it, pay special attention to it. Make sure it’s not just their top performing brands. Find out what was the demographic like for those units. Is it going to be comparable to what you’re doing? While the Item 19 is a great element to look into, don’t get your heart set on it. Use it as a backdrop for what could be. 5. What kind of skills should people have prior to becoming franchise owners? Are there any particular resources they can use to develop or fine-tune these skills? Sales skills are always a must. People hate the word “sales”, so I try not to use it too much. Keep in mind that people skills, in general, go a long way as well. Essentially what I mean is that a person is able to talk to his or neighbors about his or her new business. It’s also the idea that a person is able to do all the things necessary to keep a business up and running. Most franchises will have some sort of bookkeeping system that they recommend using, so I don’t think most franchisees will need to brush up on Accounting 101 or anything along those lines. Franchisors can usually help their franchisees with those items. However, sales and people skills are things to focus on. Marketing skills are also necessary. I would stay in-the-know of what is going on. Facebook marketing might be really big in your space, so you’ll want to be plugged into how you’re alerted about requests. The term “sales experiences” scares off a lot of people. When people think “sales”, people think of the ability to get people to leave with a product. That’s not what I’m talking about when I say “sales skills”. What I’m talking about is a person’s ability to connect with his or her community. If you tend to be more of an introvert, you’re likely somebody who’s not going to be out there telling your neighbors you’ve just opened a new business, putting things out on social media, going to your chamber of commerce, or getting involved in the community. If you’re not going to be that person, recognize that’s an area you need to grow in. So when I say “sales skills”, I’m talking about the ability to remain engaged inside of your community, at the very least. It’s obviously excellent if you can go to all of your local businesses around Christmas time and say, “hey, I know you’re probably having a Christmas party. TapSnap would love to be your event entertainment!” It would be great if you had that skill. But if you don’t, you can hire people for that. However, it’s still nice for owners to be able to take on that role, at least in some capacity. 6. How long does the process take, generally, when trying to find the right franchise? It varies tremendously. We’ve had an individual who came in and was really excited and engaged, and who was looking for all these opportunities, but suddenly, that person disappeared. Four years later, that individual came back and bought a franchise. For some people, it can take around four or five years. It really depends on where they are in their decision. I think it’s something like 85% of the general population has some desire to be self-sufficient. Everybody has this strong desire to do that. It’s really where you are in your life with that desire. If it’s something you’re very passionate about, I think that dictates the length of time. It also depends on your circumstances. Someone who’s raising two kids, and who’s married to a steady paycheck may not jump on it as quickly as someone who has fewer attachments, or who has more capital. 7. What are the first steps people considering franchising should take prior to entering a business venture? Education and awareness are the first steps. So many people go into franchising thinking that there are only X, Y, and Z industries that franchise. It’s a totally different opportunity for people to educate themselves on what other industries are franchising. Did you know that there are networking franchises, lice removal franchises, local pet grooming franchises, or food or entertainment franchises? There’s even one where people get locked in a room and they have to find their way out. Yes, it’s a franchise! There are so many interesting concepts. So, the first thing I’d recommend is educating yourself. If you don’t know how to educate yourself, connect with somebody who does. I think that’s one of the reasons coaches are so valuable. You can connect with these individuals and talk about those scary things like financing. Financing is terrifying. A lot of people think that they don’t have the money. But they’d be shocked to see how little it costs to open a franchise, or how easy it is to get certain loans when you’re associating yourself with a franchise. A lot of people don’t know about the 41K Rollover options when investing in a franchise. There are many other options for financing, so education is key! Check back next week for part two of our interview with Alexandria to learn more about the benefits of franchising and for more franchise advice!